The Great Debate: Tape or Disk Drive? Tape drives for backup may have been a staple for decades but they are very quickly losing ground to disk storage. While tape has been around for so long, it has evolved over time and still can play a valuable role in certain instances. Tape drives offer a number of benefits, least of which is that it is less expensive than using disk backup. Because tape and disk drives are used for backup it seems only logical to choose the least expensive method, right? Well, it depends. To be fair, we should fully examine all of tape’s benefits and drawbacks. In addition to being the cheaper option, tape drives provide very high-capacity storage. Tape systems are also more energy efficient tan disk options because disk drives remain on and running at all times, even if all the stored data has been logged. With tape drives, once the data is stored it can be off and stored somewhere. This means that not only will tape drives consume less energy and require less cooling but they are also less prone to problems and breaks. While it may sound like tape drives are clearly winning over disk drives, tape drives certainly have their drawbacks. If you need to retrieve data from your tape drive, be prepared for an arduous endeavor. While the newest tape drives have improved their ability to recover data, older ones remain difficult. And even still, tape drives are simply slower when retrieving data than disk drives. When time is money and uptime needs to be maximized, every second for recovery counts. Additionally, you cannot simply set a tape drive on a shelf and forget about it. They must be maintained in a safe and dust free environment or they may run into issues of their own. So, what advantages do disk drives provide over tape and are they better? The debate rages on but to properly compare the two we must look at the advantages of disk drives. One of the biggest advantages is rapid recovery of data. Disk drives are often stored in house and very quick to recover necessary data so it is far faster than its tape counterpart. But, because disk drives are stored in house and often remain running they take up more space and use more energy. This means a greater overhead expense for businesses. But, the drawbacks exist for disk drives as well. Disk drives cost more up front and cost more to maintain which can be a tricky thing to negotiate with your CFO when discussing IT budget. Additionally, disk drives are more prone to a number of potential problems including breaking or overwriting and reformatting of data that could cause a lot of headaches. How you store your data, what data you are storing and what your specific needs are for recovery will greatly determine what option is best for you. No option is the clear winner, the debate will rage on, and the choice between disk and tape will remain a case-by-case unique decision. 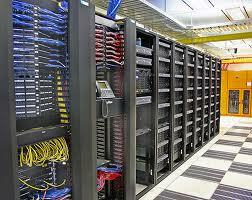 This entry was posted in data center equipment, Technology Industry. Bookmark the permalink.